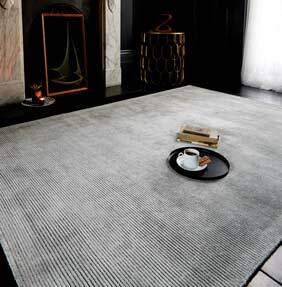 Contemporary tonal texture in subtle colours - Reko features a low, dense pile in alternate lines of viscose and cotton to create a textured rib effect rug in twelve colour-ways. The low pile and heavy-weight makes Reko ideal for customers worried about a trip hazard, for the fashion conscious the shimmering silk like pile gives plenty of glamour. Choose from four standard sizes and 12 colour options.